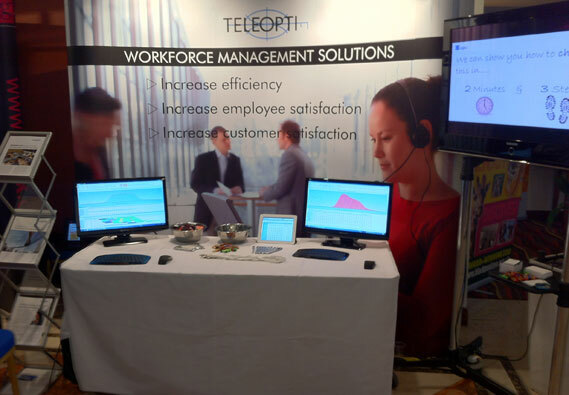 Teleopti was present at the recent Professional Planning Forum Annual Conference held in Blackpool, UK 23 – 24 April. Teleopti was a specialist sponsor in the areas of enterprise planning. The conference was a mix of presentations, case studies, round table discussions and seminars. It was outstanding in its breadth of coverage not only technologies but also the people side of the contact centre in the areas of planning, customer experience, business intelligence, speech analytics, etc. The event gave us a fantastic opportunity to meet many of our current customers in one place, where they can also discuss Teleopti WFM experiences amongst themselves, as well as to discuss the benefits of Teleopti WFM with potential new customers. Which we happen to spend a lot of time doing. All in all it was a jolly good time.